Sometimes I feel like exercise has become a dirty word in the mommy sphere. I can understand that. 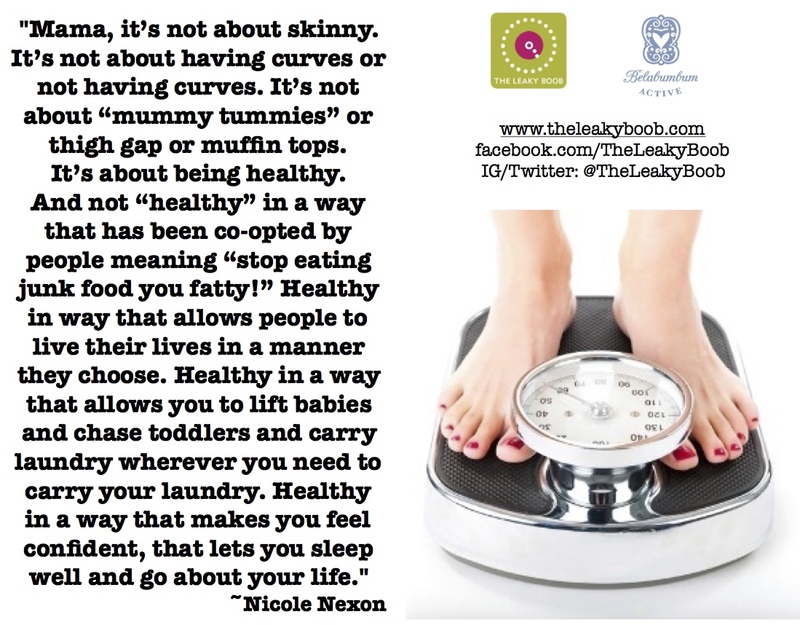 And what has been missed in all of this is the truth of the matter – it’s not about skinny. It’s not about having curves or not having curves. 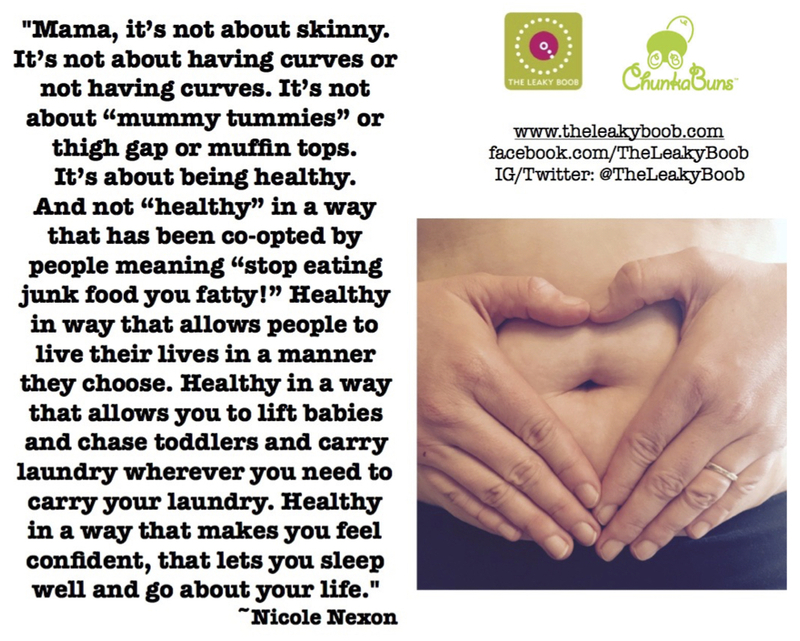 It’s not about “mummy tummies” or thigh gap or muffin tops. And not “healthy” in a way that has been co-opted by people meaning “stop eating junk food you fatty!” Healthy in way that allows people to live their lives in a manner they choose. Healthy in a way that allows you to lift babies and chase toddlers and carry laundry wherever you need to carry your laundry. Healthy in a way that makes you feel confident, that lets you sleep well and go about your life. What happens when you’re injured…and you don’t even know it? When I was pregnant with my second daughter, I began to feel a pretty distinct pain by my belly button. It was so specific that I was fairly certain I was developing an umbilical hernia. I brought it up with my midwife and was told it wasn’t a hernia. I was developing a diastasis recti – a split between the muscles and muscular tissue that runs down the center of the abdomen. The pressure inside from an expanding uterus/baby was just too much for the abdominal tissue to handle so the tissue and muscles were separating. 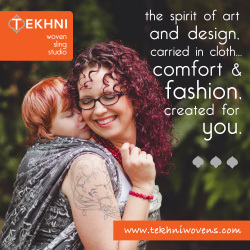 With my first pregnancy, I worked in an outpatient clinic that was less physically demanding. With this second pregnancy, my current position required a lot of physical lifting as a physical therapist in a subacute center for patients who were not sick enough for the hospital, not well enough to go home. 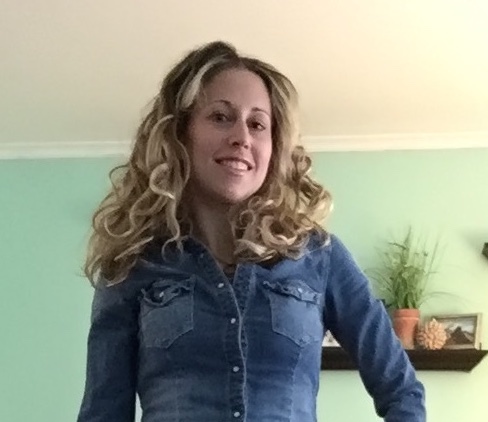 I already had work restrictions due to the physical requirements of my job; working with those restrictions AND dealing with a developing case of Diastasis Recti made the restrictions even more difficult. It was in this position that I recognized a growing group of people in need of support, awareness, and healing of Diastasis Recti: new moms. Here were these women, trying to juggle new responsibilities, healing from the changes their bodies went through during pregnancy and subsequent post-partum recovery and there was little to no support or even awareness about the problems that Diastasis Recti presented. Diastasis Recti can affect your body in some pretty drastic ways. Now it was MY body that was going to need to be supported. My body that was going to need help carrying a car seat. A baby. My toddler. The laundry. My body that was going to be more prone to injury- that would need me to completely rethink how I went about my day. I worked out through my pregnancy because I knew what was ahead of me. I knew my core was going to be compromised. I wanted to achieve a VBAC and I knew I would need endurance (among other things) to prevent a repeated OR experience. I went back to my books and read studies on exercise efficacy. I reviewed exercise programs for pregnant women, post partum women, and people who had just had abdominal or back surgery. I had a plan, and I HAD to be as physically strong as I could when I returned from maternity leave so I could perform my job effectively. I ended up with a VBAC, a baby girl, and a three-finger diastasis. *when I say “three-finger diastasis” I am describing how many fingers I can horizontally fit across the tissue separation. To find this, lay on the floor with knees bent and feet flat on the floor. Lift up your head slightly and contract your abdomen muscles gently. Find your belly button and make the “scout symbol” with your fingers…see how many you can fit in there. i.e. 1 finger, 3 fingers, etc. Check the same line down by your pelvis, and again up towards your ribs. Different points along your abdominal muscles may be different fingers of separation. I feel blessed that my passion and my education allowed me to understand what my body needs to function well and heal from my condition. I am grateful for my colleagues and friends with whom I can discuss ideas or count on to help me with the hands-on techniques I can’t perform on myself. I know I am lucky to have access to the information that I have. I want other women to have this valuable access to connections and resources that are out there for those recovering from Diastasis Recti. I want women to know that sometimes “mummy tummy” can actually be caused by a medical condition. I want women to know that the media are not medical professionals and there is a wide range of “normal” when it comes to our bodies. I want other mothers to know that exercise and eating well are available to them. I want women to know there are safe exercise routines that WON’T injure a body healing from Diastasis Recti. That recovering doesn’t need to be a series of scary, out-of-reach experiences. They don’t need to spend hours in the gym (Though you certainly can, if you enjoy it!). I feel sad because they are being taught that only the big efforts count. I work with people for whom sitting at the edge of their bed is enormous effort, and standing requires assistance of others. When you see the enormous joy on a person’s face brought by these small yet enormous victories, you begin to understand the true beauty of the movement our bodies are capable of. What may seem like a small victory may be an enormous triumph-a giant step towards hope and healing. Misguided emphasis on skinny and perfect or the fear of never being _____ enough WILL STOP US in our tracks. It’s ok to start small. It’s ok to not be perfect. It’s not about meeting someone else’s standards. It’s about taking care of yourself, teaching your family that our bodies are a great gift and we should treat them well. It’s about understanding that you are worthy of the time and energy it will take to begin, to HEAL, and to build healthy habits that facilitate that healing and well being. Let’s get moving, because moving not only transforms your body, but it transforms your mind, no matter what size jeans you wear. Kegels/pelvic floor exercises (contracting the pelvic floor muscles-the ones you use to stop your pee, if that makes sense!). Standing on one foot while brushing your teeth while pulling your belly button in towards your spine. Stretching before you get out of bed. Taking a walk or parking further from the store. You can climb your stairs. Work out with a DVD program or take a class. If pregnant, getting an abdominal/belly support band to help support your abdomen and relieve pain you may be experiencing. If in post partum recovery, gently binding your belly to help pull the muscles together and support you in those first few weeks of initial birth recovery. Where am I now? I’m down to a one finger split at my belly button. I am confidently back to work full time with no restrictions. I’m still doing pelvic floor exercises and modifying my workouts to protect and strengthen my abdominal muscles so I don’t re-injure or reinforce the Diastasis Recti. I’m teaching my daughters that exercise and eating well are ways to treat your body with respect, to give it what it needs so when you need your body to work for you, it will. I’m teaching them that strong is beautiful, that healthy allows you to follow your dreams, that food is a tool and a pleasure and size is just another physical trait that varies from person to person. Final thought… can we all agree to stop using the words “mummy tummy” ? Please? Your tummy is awesome, mommy. Growing a human is beautiful. A body that shows the results of growing a human is also beautiful! For more information on Diastasis Recti click here. I have no idea if I have this problem or not, but how does abdominal surgery affect it? I have a scar from navel to public bone but I don’t know if the muscles were cut too. It was almost 15 years ago. I have this condition. I would strongly recommend seeing a physiotherapist in person before doing any exercise other than walking. I have a severe separation (my therapist can fit her fist and a finger in at a certain point) and some suggested exercises are straight off the table for me and would worsen my injury (no planks of any kind and absolutely no high impact moves like jumping jacks). There definitely needs to be more talk about this and the varying degrees of it. This is a really good article. Having Diastatis recti is making life difficult for me. I’m 10.5 months post partum and discovered my transverse abdominals about 4 months ago. I think my split has gone from 2-3 fingers to about 2. I’m wondering if it is now “too late” to heal completely? It’s not too late, Katy. You can work on it and it may take some time but it’s never too late. I recommend speaking with your health care provider and a physical therapist or trainer with experience in working with women to heal diastasis recti.